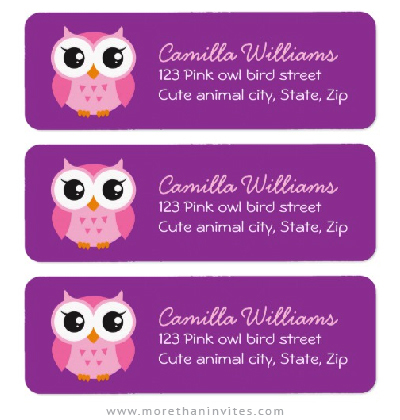 Cute return address labels featuring a pink owl on a purple background. Customizable name and address. Cute design available from Zazzle.